Epigenetic: A fine interplay exists between sensory experience and innate genetic programs leading to the sculpting of neuronal circuits during early brain development. Recent evidence suggests that the dynamic regulation of gene expression through epigenetic mechanisms is at the interface between environmental stimuli and long lasting molecular, cellular and complex behavioral phenotypes acquired during periods of developmental plasticity. Understanding these mechanisms may give insight into the formation of critical periods and provide new strategies for increasing plasticity and adaptive change in adulthood. During early development, neuronal circuits are created and connections between neurons undergo remodeling as they develop their adult functional properties in response to the surrounding environment. The adult brain loses this extraordinary plasticity. Recent findings support a key role of epigenetic factors in mediating the effects of sensory experience on site-specific gene expression, synaptic transmission, and behavioral phenotypes. Here we review recent evidence implicating multiple epigenetic mechanisms in experience-dependent changes during development and discuss their role in critical period expression in the developing and adult brain. The term ‘epigenetic’ refers to chromatin modifications which alter gene expression without affecting DNA sequence. The factors that contribute to the epigenetic regulation of transcriptional activity are numerous and include microRNA , DNA methylation [2,3] and post- translational modifications of nucleosomal histones [2,4]. DNA methylation refers to a chemical modification to DNA whereby cytosine is converted to 5-methylcytosine with the consequence of reduced accessibility of the DNA to transcription factors (Figure 1a–d). These modi- fications can be stable and heritable and provide a critical mechanism in cellular differentiation . The process of methylation is dependent on the presence of methyl donors (provided by nutrients such as folic acid, meth- ionine and choline) and methyltransferases which med- iate either maintenance (i.e. DNMT1) or de novo DNA methylation (i.e. DNMT3). Transcriptional repression associated with DNA methylation is further sustained through methyl-binding proteins such as MeCP2 . Epigenetic control of gene expression is also mediated through multiple post-translational modifications of histone proteins, including methylation, acetylation and ubiquination, which can alter the accessibility of DNA and the density of chromatin structure (Figure 1e,f). In particular, histone acetylation is associated with increased transcriptional activity whereas histone deacetylation is associated with transcriptional repression. The acetylation state of these nucleosomal proteins is controlled by the presence of histone acetyltransferases (HATs), histone deacetylases (HDACs), which are recruited by methyl-binding proteins, and by HDAC inhibitors, which effectively increase gene expression through shifting histones to an acetylated state [2,6]. The timing and degree of gene expression are controlled through these complex mechanisms, thus providing a link between single genotypes and multiple phenotypes. In mammalian development, the prenatal and postnatal periods are characterized by rapid changes in neuronal organization, thus providing a critical window of opportunity during which environmental experiences can lead to long-term influences on brain and behavior. There is increasing evidence for the role of epigenetic factors in mediating the relationship between these experiences and long-term outcomes. Mueller and Bale  have recently demonstrated decreased DNA methylation of the corticotrophin-releasing-factor (CRF) gene promotor and increased methylation of the glucocorticoid receptor (GR) exon 17 promotor region in hypothalamic tissue of adult male mice born to gestationally stressed females. These epigenetic modifications are associated with exposure to stress during the early stages of prenatal development and may involve dysregulation of placental gene expression. The nutritional environment during fetal development has likewise been demonstrated to influence growth, metabolism and brain development and there is increasing evidence that dietary levels of methyl-donors can epigenetically alter gene expression in offspring [8,9]. In rats, Lillycrop et al. illustrate that GR 110 and PPARa (peroxisome proliferator-activated receptor alpha) gene promotor methylation is reduced in the hepatic tissue of offspring born to protein restricted dams whereas methylation is increased in offspring of dams whose diet is supplemented with methyl donors [10,11]. These effects may be related to DNMT1 expression, which is likewise decreased with dietary protein restriction . Prenatal nutritional regulation of DNA methylation has similarly been observed in brain tissue associated with levels of DNMT1 expression , suggesting that in the rapid period of cell division ocurring during fetal development, the level of methyl donors can have a significant impact on transcriptional activity that is maintained into adulthood. The role of epigenetic modification in sustaining the effects of environmental experience has also been demonstrated in the context of postnatal mother–infant interactions. Individual variations in maternal care during the immediate postpartum period in rats are associated with changes in offspring hypothalamic-pituitary-adrenal (HPA) activity, neuroendocrine systems involved in reproduction and hippocampal plasticity . Analyses of levels of promotor methylation within the hippocampal GR 17 and hypothalamic ERa genes in offspring of rat dams that provide high vs. low levels of maternal care indicate that high levels of care are associated with decreased promotor methylation and thus increased gene expression [14,15]. Though the route through which these epigenetic changes are mediated is not yet clear, there is evidence for increased binding of nerve growth factor-inducible protein A (NGFI-A) to the GR exon 17 promoter amongst offspring who receive high levels of care in infancy  and in vitro models suggest that NGFI-A up-regulation is associated with histone acetylation, DNA demethylation, and activation of the exon 17 GR promoter . The relevance of these effects in humans has recently been demonstrated by Oberlander et al. in the analysis of methylation status of the GR promotor at NGFI-A binding sites in cord blood mononuclear cells of infants exposed to third trimester maternal depressed or anxious mood. Maternal depression was found to be associated with increased GR 1F promotor methylation in fetal blood samples and these methylation patterns predicted HPA reactivity in infants at 3 months of age . Analysis of hippocampal tissue from suicide victims with a history of childhood abuse similarly indicates lower GR expression and higher GR 1F promotor methylation associated with disruptions of the early environment and confirms the findings from rodent studies that differential NGFI-A binding is a functional consequence of these epigenetic effects . However, the impact of perinatal mother– infant interactions is not limited to GR regulation as illustrated by Roth et al. examining the effects of postnatal abuse on offspring brain derived neurotrophic factor (BDNF) methylation . In rats, an increase in methylation of exon IV of the BDNF promotor and consequent decrease in BDNF mRNA in the prefrontal cortex was found in association with exposure to periods of abusive maternal care (dragging, rough handling, etc.). As was the case with the effects of individual differences in maternal care, these effects emerged in infancy and were sustained into adulthood. Moreover, these effects on BDNF exon IV methylation are perpetuated to the F1 generation suggesting a role for epigenetic mechanisms in transgenerational effects . The previous section highlights the stable effects of early life experiences and how these events become encoded at a molecular level. Another approach to the study of epigenetics and development comes from studies of synaptic plasticity during the expression of long-term potentiation (LTP) and memory consolidation. High levels of maternal care and exposure to juvenile environ- mental enrichment (EE) have been demonstrated to improve capacity for learning and memory associated with LTP enhancement [21,22]. Moreover, recent evidence suggests that EE modulates NMDAr/p38/LTP signaling pathways in the hippocampus and improves contextual fear memory formation across generations such that offspring of enriched mothers likewise show enhanced LTP even when cross-fostered at birth to non- enriched mothers . Environmental enrichment has been associated with increased histone acetylation in the hippocampus and improved spatial memory [24,25]. Pharmacological targeting of the epigenome has been used to demonstrate the role of histone acetylation and DNA methylation in the consolidation of long-term memory . Treatment with zebularine (an inhibitor or DNA methyltransferases) has been shown to block memory formation and reduce histone acetylation following con- textual fear conditioning in adult rats  whereas treatment with the HDAC inhibitor sodium butyrate lead to enhanced formation of contextual fear memories . The particular HDAC target of these inhibitors may be HDAC2 as recent evidence has emerged illustrating decreased synaptic plasticity and memory formation in mice over-expressing HDAC2 but not HDAC1; with the converse effect in HDAC2-deficient mice . These studies illustrate a possible relationship between synaptic activity and histone acetylation/DNA methylation in mature neurons, suggesting that there is continued plasticity in these epigenetic systems beyond the prenatal and postnatal periods of development. Activity-dependent changes in gene expression within neuronal pathways during development may serve as a critical pathway linking experience of the external environment and epigenetic modifications within the cell nucleus. In a recent study, Monteggia and colleagues elegantly demonstrated that spontaneous synaptic trans- mission in hippocampal neurons is regulated by alterations in DNA methylation that occur in response to synaptic activity . Treatment with a DNMT inhibitor lead to a significant decrease in frequency of miniature excitatory post-synaptic currents (mEPSCs) and rate of spontaneous synaptic vesicle fusion correlated with a decrease in BDNF promoter I methylation and increased BDNF expression. This effect was blocked with inhibition of synaptic activity and reductions in mEPSCs were prevented in the absence of MeCP2. These results strongly suggest a role for DNA methylation/MeCP2 pathways in the control of synaptic function. Activity- dependent phosphorylation of MeCP2 via Ca2+-calmodulindependent kinase II has been shown to cause MeCP2 dissociation from target genes and relieve transcriptional repression . Consequently, genes such as BDNF are increased in expression leading to normal dendritic patterning and dendritic spine development . These findings suggest an epigenetic mechanism through which neurons can monitor alterations in activity level and adjust neurotransmitter output via altered gene expression with consequences for network excitability and circuit refinement. Impairments in these MeCP2 pathways may lead to several neurodevelopmental abnormalities including Rett syndrome, infantile autism, mental retardation, and schizophrenia  and targeted deletion of MeCP2 in the amygdala has recently been demonstrated to impair learning and memory and lead to increased anxiety-like behavior in mice . 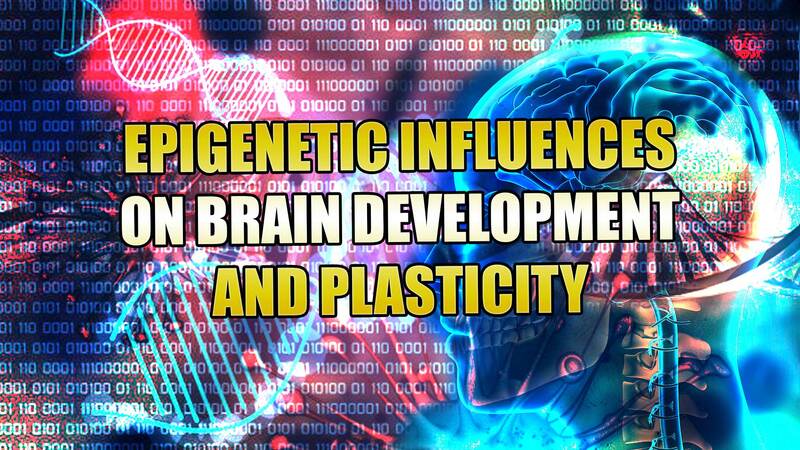 Though epigenetic mechanisms have certainly been implicated in mediating the high levels of plasticity in early development, it is also possible to view the decreased plasticity and sensitivity that occurs later in development from an epigenetic perspective. Neocortical circuits are extremely sensitive to manipulations of the sensory environment during restricted temporal windows of postnatal development called ‘critical periods’. For example, an imbalance in binocular vision during child- hood affects perception leading to amblyopia or ‘lazy eye’. Monocular deprivation (MD) reproduces this classical paradigm of experience-dependent plasticity . The striking physiological effect of MD is a shift in visual cortical neuron response in favor of the non-deprived eye; an example of ocular dominance (OD) plasticity. The critical period during which this OD plasticity occurs is defined by the activation and subsequent inhibition of specific molecular pathways involving signaling molecules such as aCaMKII, calcineurin, PKA, ERK, and CREB . Recently, Pizzorusso and colleagues identified rapid increases in ERK-dependent phosphorylation of histones associated with activation of the juvenile visual cortex and a developmental downregulation of this effect in older mice . In adult mice, the reduced OD plasticity can be reinstated through treatment with the HDAC inhibitor trichostatin A (TSA). Multiple cellular mechanisms might contribute to experience-dependent plasticity expression . Further work is necessary to understand if epigenetic mechanisms are generally acting in all cellular substrates or only within a specific subset. Myelin maturation has also been proposed as one of the major factors contributing to decreased neuronal plasticity. During the onset of critical period plasticity, oligodendrocytes start to express specific myelin structural proteins, including myelin basic protein (MBP), myelin-associated glycoprotein (MAG), myelin oligodendrocyte glycoprotein (OMgp) and myelin-associated oligodendrocyte basic protein (MOBP) . As myelination reaches adult levels, OD plasticity is strongly reduced or absent. MAG and OMgp may contribute to critical period closure through activation of Nogo receptors. Indeed, mice lacking Nogo receptors exhibit OD plasticity even in adulthood . Manipulation of epigenetic status of oligodendrocytes may also be an effective strategy for modulating plasticity. Casaccia-Bonnefil and colleagues have shown that histone modifications are involved in oligodendrocyte precursor cell (OPC) differentiation during development and in recovery from injury [41– 43]. Administration of the HDAC inhibitor valproic acid during the critical period of myelination onset was found to prevent the OPC maturation into myelinating cells. These results suggest that HDAC activity during a specific temporal window of postnatal development is required for OPC differentiation and myelination. At later developmental stages, histone deacetylation subsides and is replaced by repressive histone methylation and the establishment of a compact chromatin structure, characteristic of the differentiated oligodendrocyte phenotype . Shen et al. found that in response to damage of oligodendrocytes, robust remyelination occurred in juvenile but not in older animals with the new myelin synthesis preceded by down regulation of oligodendrocyte differentiation inhibitors and neural stem cell markers and the recruitment of HDACs to promoter regions. This HDAC recruitment is inefficient in older brains, allowing for the accumulation of transcriptional inhibitors and prevention of myelin gene expression. This age-depend- ent effect can be induced in young mice treated with HDAC inhibitors during the period when damage to oligodentrocytes is occurring. 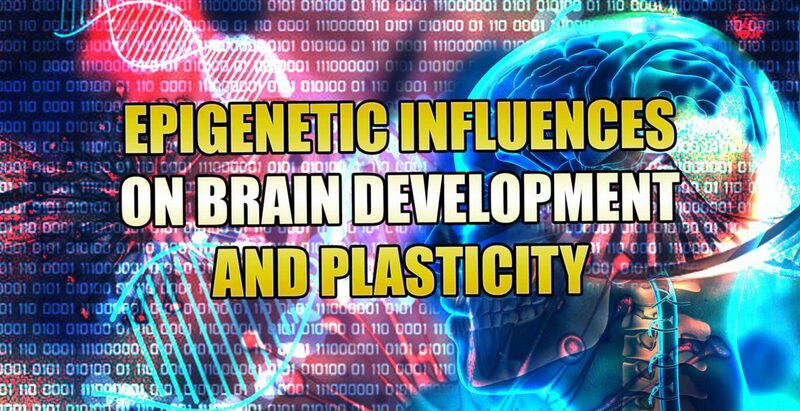 Thus, there are epigenetic changes that are characteristic of periods of developmental plasticity that could provide a target for therapeutic intervention in the event of CNS damage. The use of HDAC inhibitors to increase plasticity in the brain may be a promising therapeutic approach as there is conver- ging evidence from rodent models that treatment with these compounds (1) can lead to dramatic shifts in gene expression and behavior in adult offspring who have received low levels of maternal care  and (2) mimic the effects of EE on reversal of neurodevelopmental abnormalities . Rather than producing a generalized increase in transcription, these compounds lead to acti- vation of a specific subset of genes [45–47], suggesting possible targeted intervention to reinstate plasticity in adult brain. There is converging evidence for the role of epigenetic modifications such as histone acetylation and DNA meth- ylation in both the stability and plasticity of developing neuronal circuits. The persistent effects on gene expression that can be achieved through these mechanisms provide a biological route through which environmental experiences can become embedded, leading to long-term changes in neurobiology and behavior. Enhancing plasticity in the adult brain is an exciting prospect and there is certainly evidence emerging that suggest the possible use of epigenetic factors to induce a ‘younger’ brain. The challenge of future studies is to establish the pathways through which site-specific and gene-specific transcriptional modifications can be achieved and to better understand the route through which experiences across the lifespan induce this molecular plasticity. 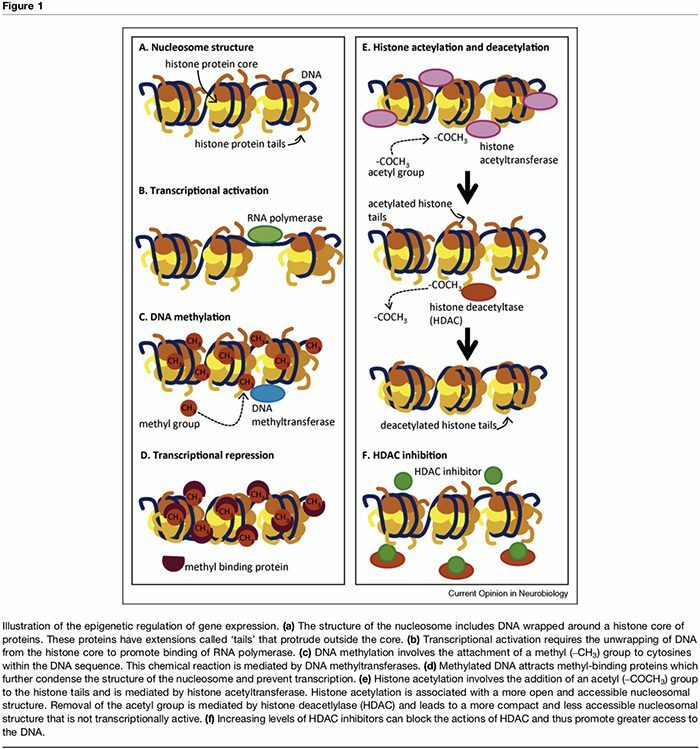 0959-4388/$ – see front matter Published by Elsevier Ltd.
regulation of epigenetic processes. Bioessays 2009, 31:51-59.
expression and neuronal function. Pediatr Res 2007, 61:58R63R. silencing-a three-way connection. EMBO J 1998, 17:4905-4908.
transcriptional signal network in the developing mouse brain. Anat Sci Int 2005, 80:12-18.
system. Cell Res 2005, 15:255-261.
development. J Physiol 1999, 514(Pt 3):617-627. 9. Zeisel SH: Importance of methyl donors during reproduction. Am J Clin Nutr 2009, 89:673S-677S. modifications. Br J Nutr 2007, 97:1064-1073.
across generations. Annu Rev Neurosci 2001, 24:1161-1192.
by maternal behavior. Nat Neurosci 2004, 7:847-854.
genes. J Neurosci 2007, 27:1756-1768.
childhood abuse. Nat Neurosci 2009, 12:342-348.
long-term memory following environmental enrichment. Eur J Neurosci 2005, 21:513-521.
differential responsiveness to glucocorticoids and stress. the central nervous system. Biol Psychiatry 2009, 65:191-197.
gene transcription in the consolidation of fear memory. hippocampus. J Biol Chem 2006, 281:15763-15773.
regulation of DNA methylation. J Neurosci 2008, 28:395-406.
involves calcium-dependent phosphorylation of MeCP2. related disorders. Curr Opin Genet Dev 2006, 16:276-281.
syndrome. J Neurosci 2009, 29:4218-4227. R Soc Lond B Biol Sci 2009, 364:341-355.
cortex. Curr Top Dev Biol 2005, 69:215-237.
and Nogo receptor. Science 2005, 309:2222-2226.
essential for oligodendrocyte progenitor differentiation. differentiation inhibitors is critical for remyelination efficiency. and how these mechanisms change with aging. genes. J Biol Chem 2003, 278:43014-43019.
plasticity via CREB:CBP-dependent transcriptional activation. Sci U S A 2006, 103:3480-3485. 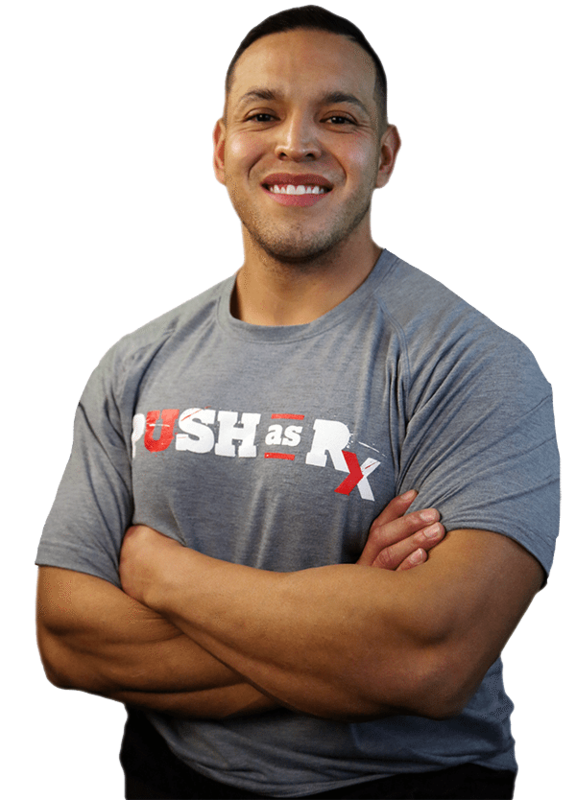 Cutting Your Nerve Changes Your Brain | El Paso, TX.